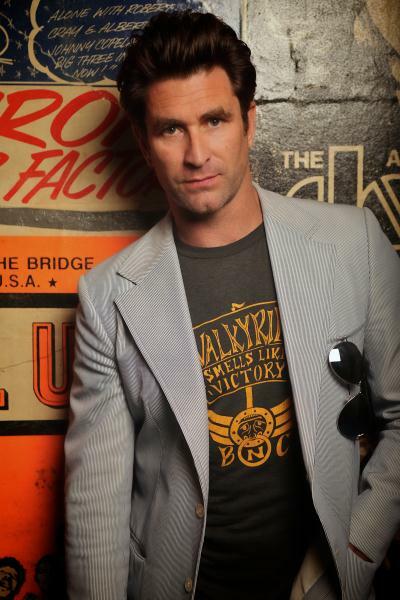 Surfie's up: Pete Murray plays Geelong next week. “Cool, warm and surfie” is how Australian acoustic rocker Peter Murray describes his re-recorded Blue Sky Blue album, The Byron Sessions. “By surfie, I mean it sounds better if you play it near the beach,” Murray explained. Toying with the idea of doing his first “real” solo Australian tour, Murray sent an acoustic demo of his fourth album title track Blue Sky Blue to Blue King Brown singer Natalie Pa’apa’a. Her rap, which Murray thought “sounded great”, sparked the idea to remake his Blue album using acoustic beats and a line-up of industry friends. “I didn’t want to release an album and have it be like the greatest hits because I wasn’t ready for that,” Murray confessed. “I thought doing the acoustic version of my last album and having friends involved would give it a clean, fresh vibe”. Murray admitted he preferred the re-released album over his electric guitar original. Murray believed that fans were also more receptive to his traditional acoustic sound. But Murray said the opportunity to record both versions of the album made him “lucky” to take risks and have fun. “I went into this project (The Byron Sessions) to have fun and I didn’t have any expectations. Visiting regional towns like Geelong during his solo tour was a “big priority”, Murray said. Murray promised he would get “up close and personal” with fans at The Wool Exchange on February 16.